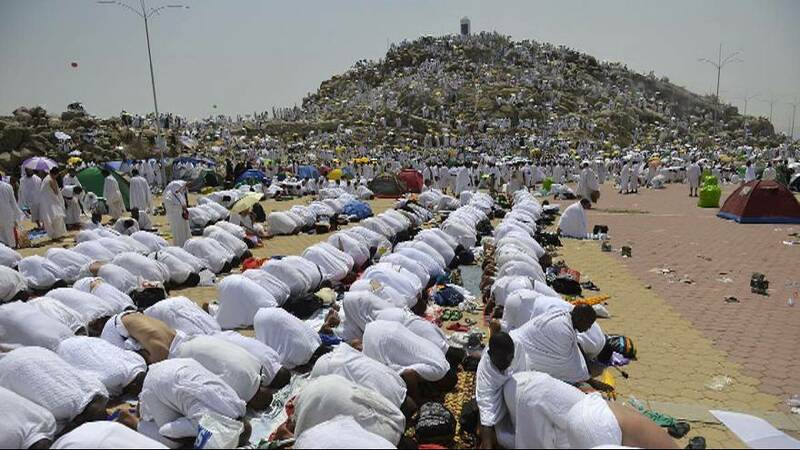 The Hajj pilgrimage marks its most important day on Wednesday with the ascension of Mount Arafat, the climax of the five-day religious festival which has three more days to run. The more than two million pilgrims were regularly sprayed with water to cool them down as they queued for their turn to take part. “It is a hard time that the world is going through at the moment. This is a day of peace, we are all here to do the same thing, to pray to God and hopefully it is something that everybody is ready to do,” said one young man. “Unite all the Muslims, O Allah, I beg for mercy and peace for every one in Syria,” said one elderly woman. Being at Arafat is the one compulsory event of the Hajj ; failing to turn up at this spot in Mecca, where the Prophet Mohammed is supposed to have made his final sermon, invalidates the entire pilgrimage.